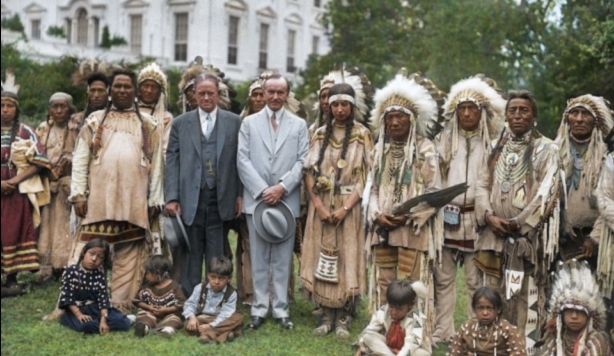 The remarkable pictures show the group during the 1920s, with some of the leaders meeting with then American president, Calvin Coolidge, at the White House. 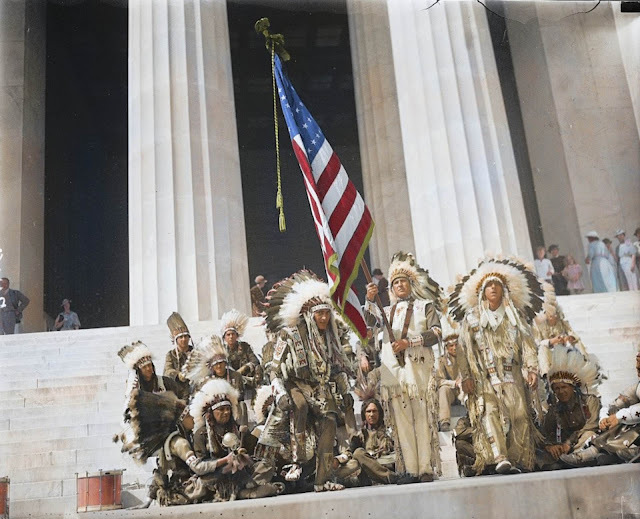 Other fascinating images show the native tribe mixing with the public, standing on top of the Lincoln Memorial holding the American flag high, and two Native American elders meeting with politicians at the Capitol Hill in 1936, the same year the Aborigines Act Amendment Act was legislated. 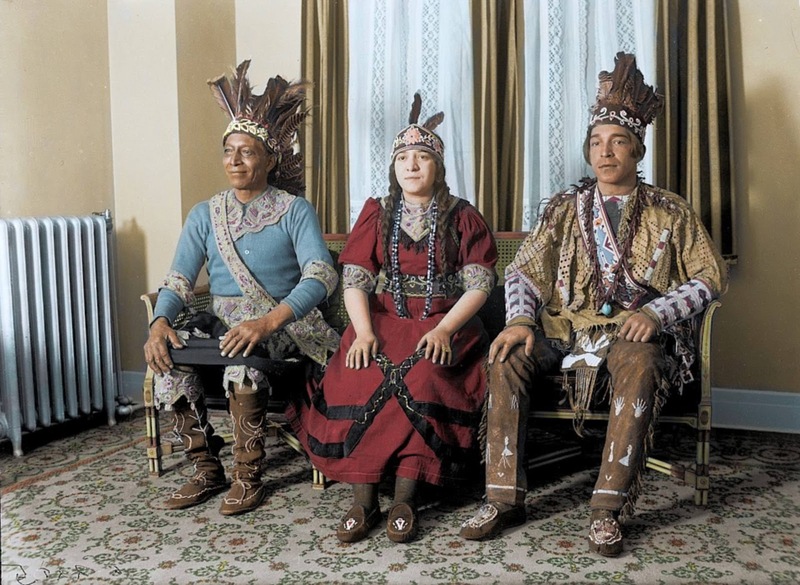 These incredible photographs were colourised by British colorization specialist, Royston Leonard, 54, from Cardiff, Wales. 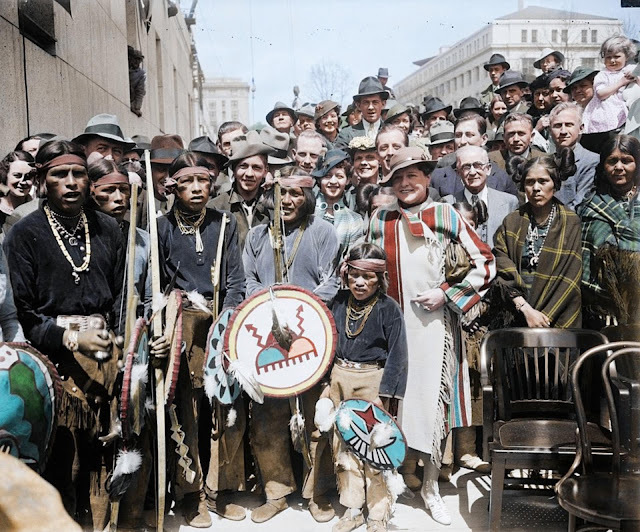 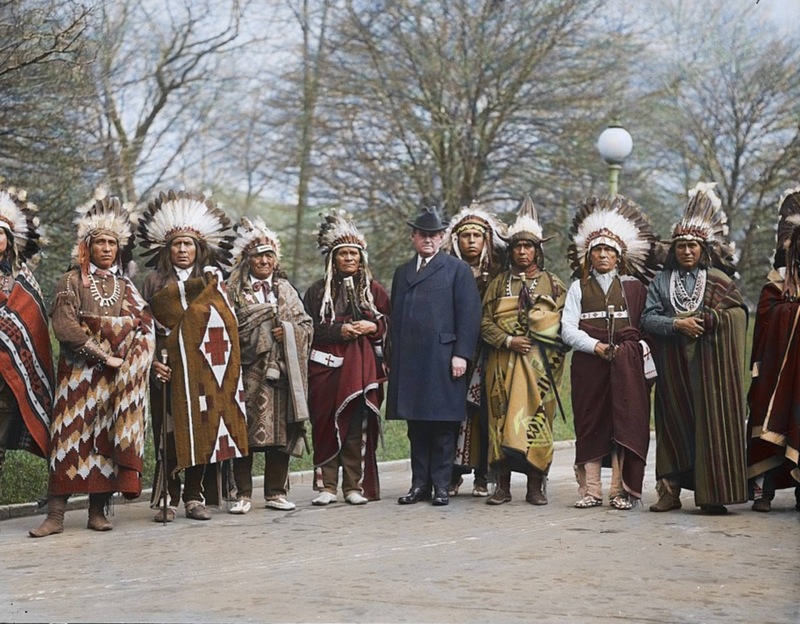 In 1924, the Indian Citizenship Act was proposed by Representative Homer P. Snyder and signed by President Calvin Coolidge, meaning the indigenous peoples including the Native American tribe, also known as Native Indians, were granted full U.S. citizenship. 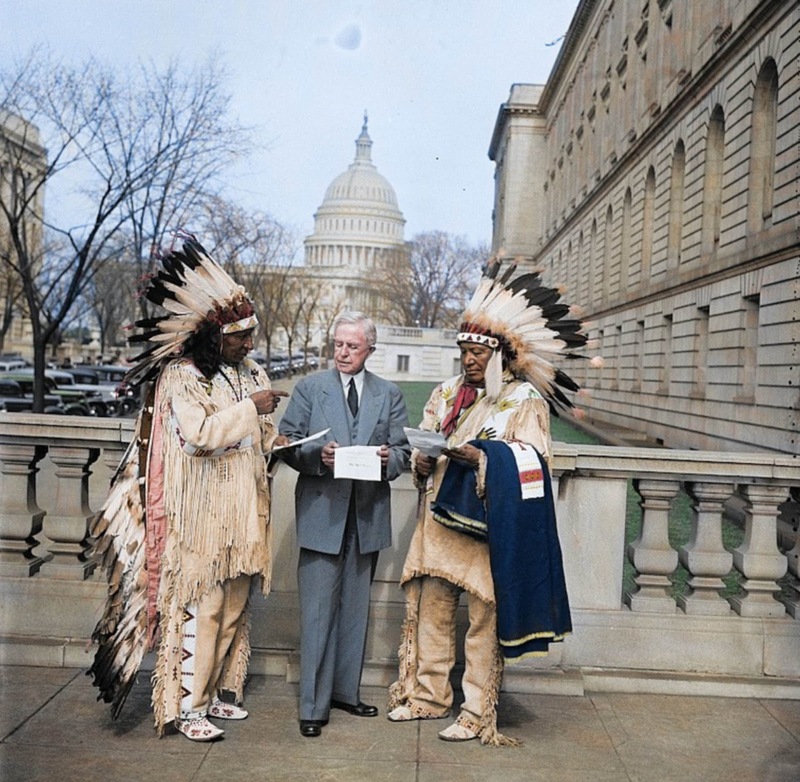 The Indian Citizenship Act of 1924, also known as the Snyder Act, was proposed by Representative Homer P. Snyder (R) of New York and granted full U.S. citizenship to the indigenous peoples of the United States, called "Indians" in this Act. While the Fourteenth Amendment to the United States Constitution defined as citizens any person born in the U.S., the amendment had been interpreted to restrict the citizenship rights of most Native people. 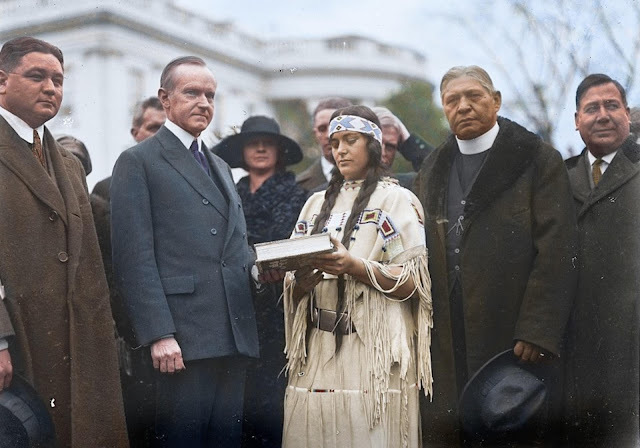 The act was signed into law by President Calvin Coolidge on June 2, 1924. 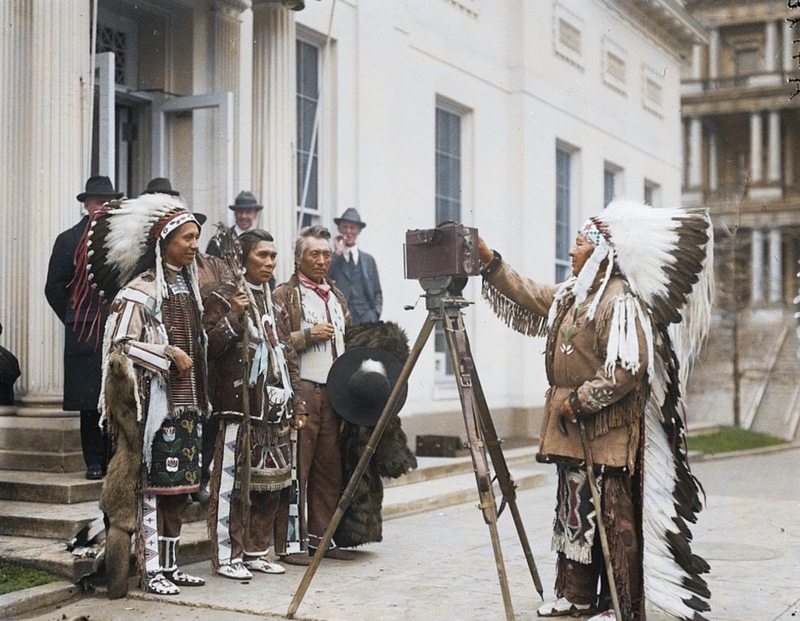 It was enacted partially in recognition of the thousands of Indians who served in the armed forces during World War I. 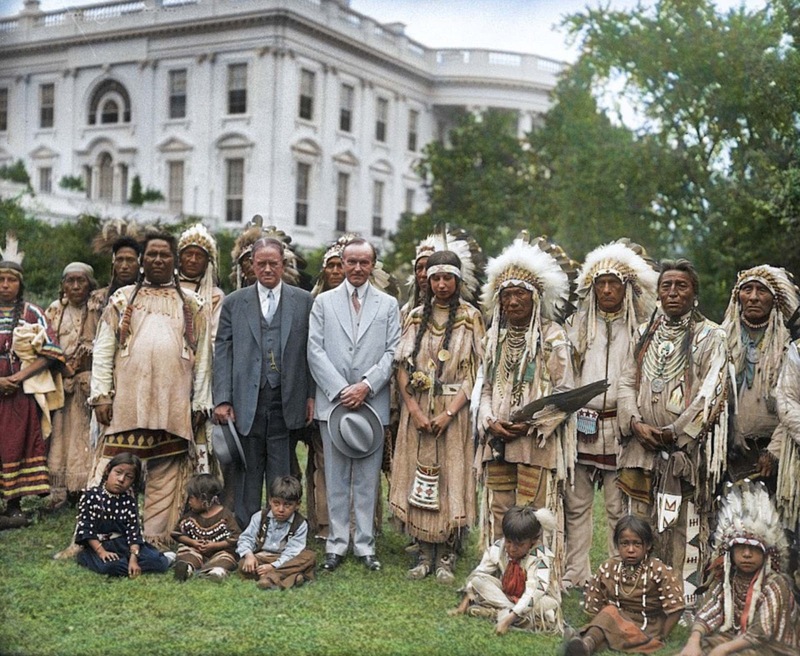 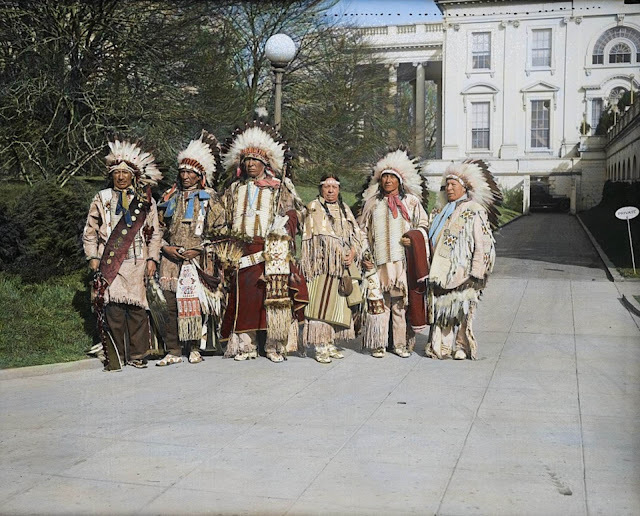 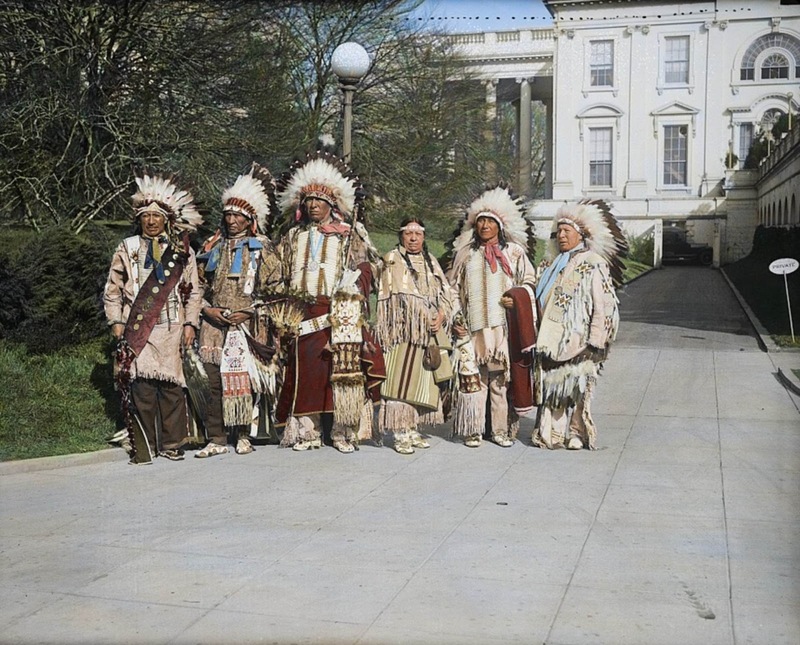 Responses to "Historical (colorized) pictures show Native Americans at the White House for Citizenship"
People of color who have been nearly whited out. Thank you for these pictures. 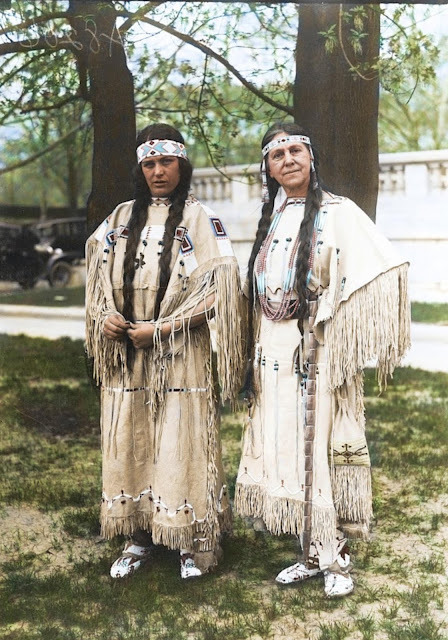 Actually, they made me sad to think of how much we have not accomplished in all these years. Sad because these pictures looked so hopeful.